This pixie is sugar sweet! The fairy is based upon artwork by Amy Brown. 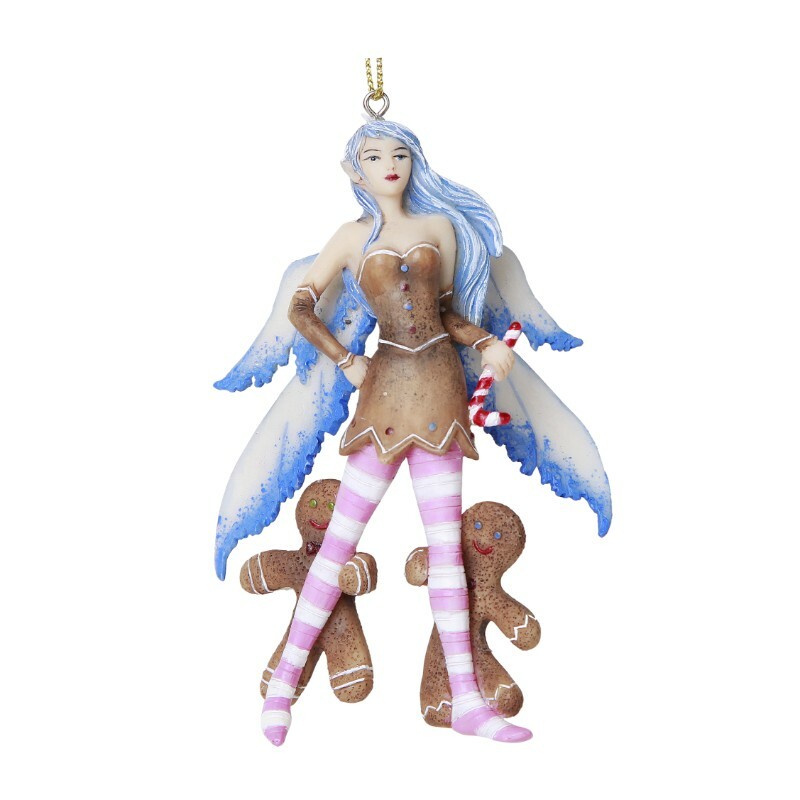 She has a dress seemingly made of gingerbread, and wings and hair in shades of icy blue and white. Pink and white striped stockings complete the fae's look! She isn't alone, though-- two gingerbread men join her! 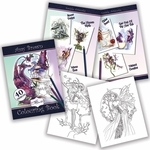 This would make a fabulous Christmas gift for a fantasy lover! Size: 2 1/4" x 1 1/4" x 3 3/4"